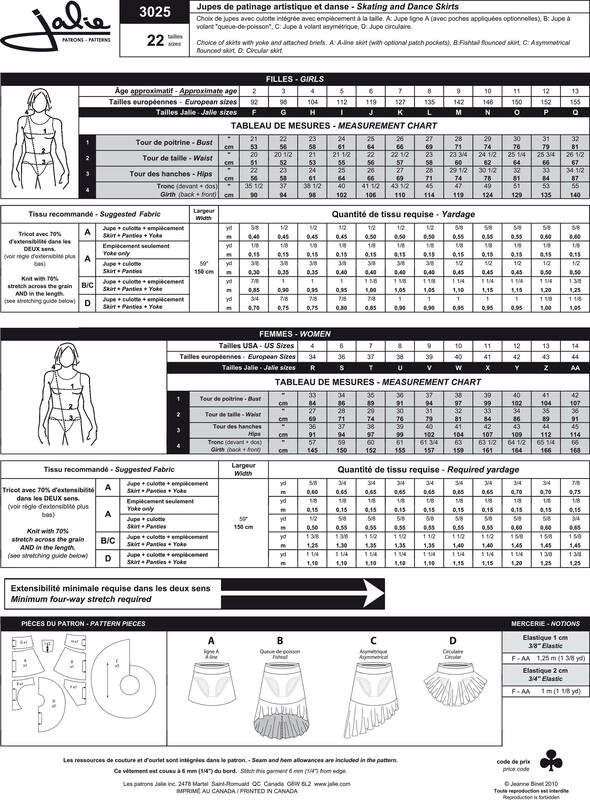 Package includes patterns and instructions to make choice of skirts with yoke and attached briefs. View A: A-line skirt (with optional patch pockets). View B: Fishtail flounced skirt. View C: Asymmetrical flounced skirt. View D: Circular skirt.